We are distributors for Nabertherm kilns and furnaces for a variety of applications, powered by single or 3 phase electricity and gas. click on the links below for brochures and video. Please contact our sales department for prices and delivery details. 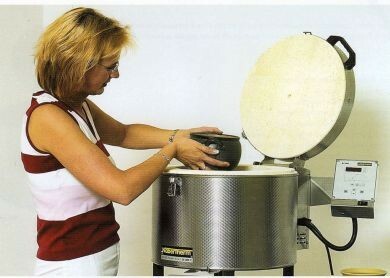 All Nabertherm Arts & Craft kilns carry a 3 year guarantee (excluding element & thermocouple). Please note; If you have any difficulty opening the pdf files on the links above please ensure you have the latest Adobe Acrobat reader (Ver 8.2.1) by clicking on "update" on your current Adobe reader.